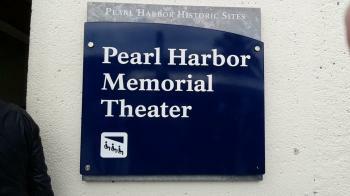 World War II Valor in the Pacific Monument (1 of 2): Pearl Harbor, Hawaii #PearlHarbor #Hawaii Tigger Travels - Family Adventure Journal Photos From Tigger`s Travels and MORE! Get your reservations done online ahead of time. Tickets go fast. 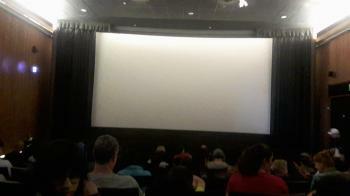 Small theater before short video starts. From the back of the theater this is where the ferries are boarded. See the Memorial in the distance. View of the Memorial from rear of ferry. 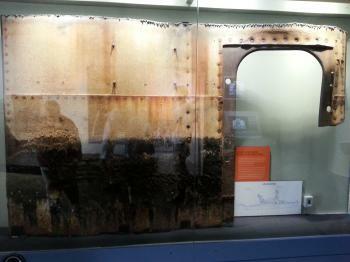 Salvaged fragment of the USS Arizona. 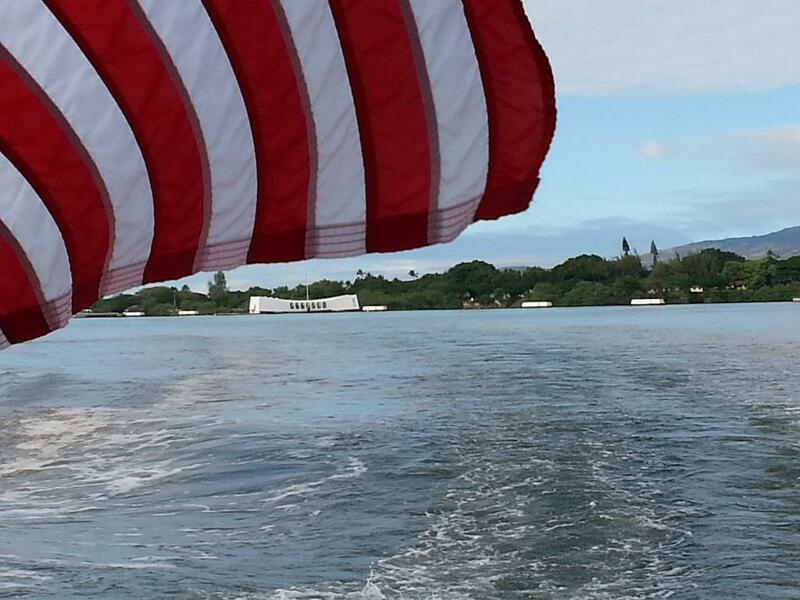 "Today the USS Arizona stands as a reminder of the events of that Sunday morning. It has different meanings for millions of people who visit here. But to all of them, it speaks silently but eloquently of the distance yet to be traveled before the world lives in peace." 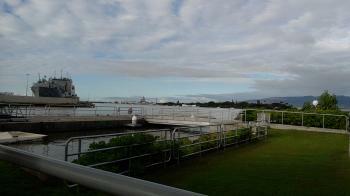 Tigger enjoyed his visit to the site that started with a ride out to the USS Arizona and included visits to the Exhibit Gallery, The Bowfin (submarine) and the Submarine Museum. To begin with, plan your visit ahead of time. 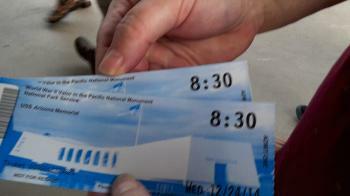 Only so many people can visit the USS Arizona and there can be a mad rush at the ticket counter. Although tickets are free, there are currently only 1,300 people allowed per day and that frequently gets exhausted. You can reserve tickets for the day you plan to visit up to 60 days in advance on the web site. This is well worth the extra effort, on the day Tigger went he arrived early and had tickets for his whole entourage in mere minutes after arriving at opening time. There were hundreds of people at the Walk-in counters and the daily limit of passes was reached about 90 minutes after the monument opened for the day. There is also a wonderful Audio Tour available that encompases both the boat ride out to the USS Arizona and the Exhibit Galleries. There is a very large list of items that can NOT be taken in to the monument area and they are extremely strict about it! The officers that perform the searches at the entrance turn away a lot of people that have even purses and diaper bags! FOR THIS REASON LEAVE NON-PERMITED ITEMS LOCKED IN YOUR CAR OR DON"T EVEN TAKE THEM! They do not play games and the more a person protests the less likely they are going to be allowed in at all! If leaving items in a locked vehicle is not an option they have a small bag storage building filled with lockers but even that is limited. For a full description of what is and is not allowed visit the government's page for complete details. Hopefully, you understand that this site is tightly monitored and controlled by no-nonesense military officers. If you start your day with a boat ride to the USS Arizona this will be driven home! You will first be required to sit through a short presentation on a movie screen then row by row escorted out to the ferry. Instructions to stay seated during the ride will be clearly stated so be sure you are sitting where you really want to be. On the way TO the monument the right side of the boat will offer a good view of the monument from the water but a better view is had from the back of the boat as you LEAVE the monument. The boat docks with the pier on the left side of the boat at the monument. At the far end of the monument is the wall of names. 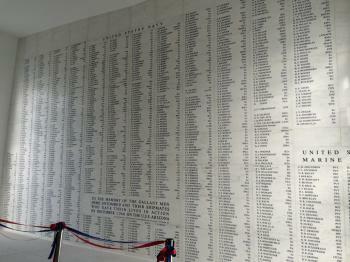 This is a list To the memory of all the gallant men here entombed and their shipmates who gave their lives in action on December 7, 1941 on the U.S.S. Arizona. Names from both the Navy and Marines are here. Be sure to look down the center areas and the outer areas at what you can see of the ship. People are buried here so people are expected to behave as though they were at a cemetary. Be respectful. 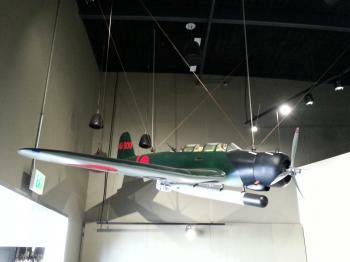 There are two Exhibit Galleries filled with well designed samples, charts, timelines, stories and more. Guests will understand the whole era and what was happening in the world and in the Pacific at that time which led up to the events of Pearl Harbor. There is something that can interest guests of all ages to help illustrate the lessons to be learned here! Personally, Tigger was fascinated by so much his brain was on overload most of the day!